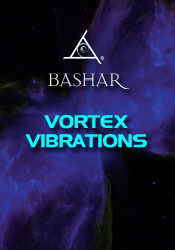 Bashar describes the energetic relationship between the different Earth vortices around the globe and how we can participate with Bashar in helping to balance the planet. Q&A Inlcudes: Does Bashar ever feel devious? How do they help the hybrid children prepare for interacting with humans? What is the cosmic origin of cats and how do they help humans? Exploring the effects of following your excitement. A discussion of dreams, lucid dreams and ET contact in dream state and the paralysis state that occurs. Connecting with a deceased love one. The connection between stress and arthritis. Understanding the fear of success. Choosing between two equally exciting paths. What is Buddha? The importance of meditation. Making big changes in your life and the consequences. How to maintain the feeling of being in love with your soulmate.